We love Veggie Tales. We have most, if not all, the movies, we have toys, puzzles, games, costumes, and we have attended Veggie Tales Live a few times. What isn’t to love about talking vegetables? When my oldest was little I would use those silly talking vegetables to encourage eating! “Come 0n, try a Bob Mato. How about Larry the Cucumber?” It actually worked! What is not to love about talking vegetables that teach kids about God? There are so many “kids shows” on the “kids channels” that are just trash. We forbid a lot of them in our house. You can read more on our thoughts about television programs HERE and HERE. Veggie Tales is something we watched over and over. I didn’t have to worry about bad words or bad morals. My oldest learned so much about the application of God’s Word from those lovable creatures too. 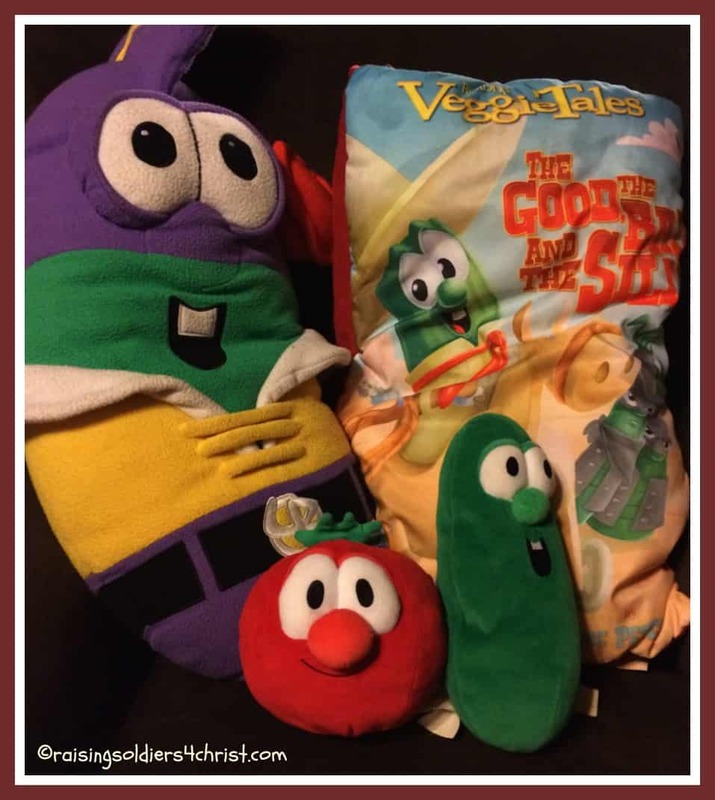 Veggie Tales became a mainstay in our home as my two youngest arrived. Veggie Tales is also something that my husband and I enjoy watching with the kids. This particular Veggie Tale movie is a lesson on forgiveness. Forgiveness is such an important lesson for adults and children. Discussing this lesson using fun and silly vegetables helps the kids to latch on. An added bonus of the movie was the new songs!!! When the movie ended, my kids played all the new ones again in the bonus section and sang along. It was so cute! The kids and I loved this movie and highly recommend it! I give it a 10/10! 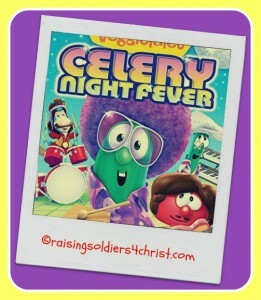 “Celery Night Fever” will make its debut on August 5th! There is also one other surprise. In October, Veggie Tales has another new movie set for release!!! You also have a chance to win a copy by entering the following giveaway!!! I like any of them but the Easter one is the best. We LOVE Veggie Tales in our house too. This looks like a great one! My daughter’s favorite is Penniless Princess. My son’s is Easter Carol.